The PBC is committed to improving firehouses throughout our City. These facilities embody the spirit of service for each man and woman who becomes a firefighter or first responder. 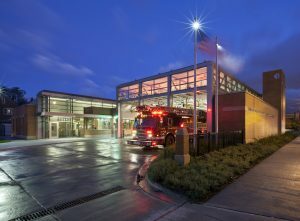 The firehouses the PBC builds use modern design to offer better living quarters, advanced training options and office workspace for officers. Through these PBC projects, firefighters are provided with the latest in technology, enhancing quick response to various types of emergencies within the communities they serve.